Using of a range finding reticle, you can approximately determine the distance to an object with known height and with clearly visible contours. The sight is filled by nitrogen which protects optics from sweating at temperature drops. 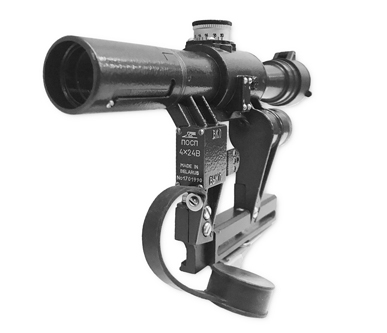 designed for installation on a firearm with an upper locating rail known as "Weaver" or "Picatinny rail"